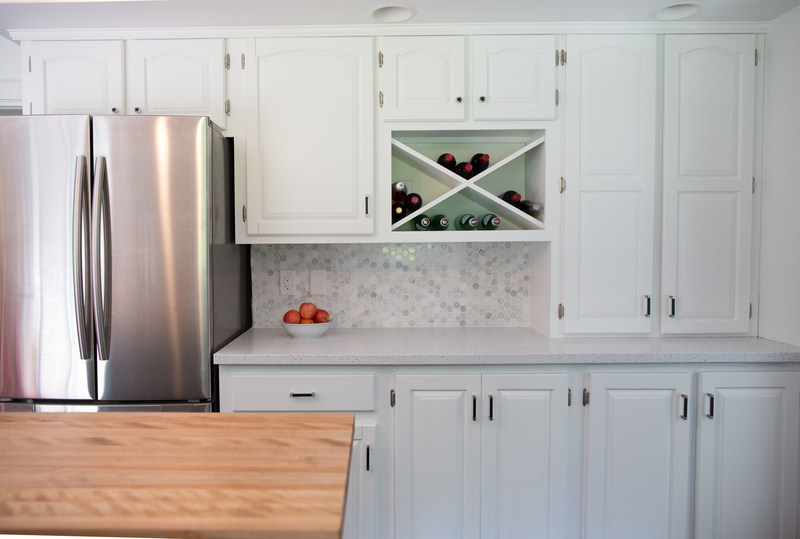 Tuck's Quick Kitchen Updates That Make a World of Difference! A kitchen is one of the most frequently used rooms in a home. This is especially true for Maritimers! Maritime kitchen party anyone? Sadly, it’s also often one of the most neglected rooms. The idea of renovating a kitchen is daunting to say the least. Going without a proper place to cook a meal for what could be a few weeks and completely giving up the hub of your home is no easy thing. Instead we live with the kitchens we have and tolerate them, all the while dreaming of someday making the necessary changes. While there are many kitchens that are beyond the “quick fixes” stage, many just need some minor changes to make a world of difference. Fortunately, over the years of updating and renovating kitchens, we’ve assembled a handy list of tips and tricks to help you breath new life into your kitchen with minimal effort. Some things can be done in a few hours and others might take up a weekend. Here’s our list of quick tips that will totally transform your kitchen! This tip might not be as easy as the rest, but it’s still less invasive than a full reno! If you’re up for it, take on the task over a weekend, or you can get in touch with Legacy Painters for help. We’ve updated many kitchens simply by using paint. Here are just a few examples. Photo by Kelly Lawson. Featured: Gus* Modern Acrylic Hanging Lamp ($425). Photo by Kelly Lawson. Featured: Icon Barstool Polished Gold ($795), Karl Pendant ($405), Harry Allen Bank in the Form of a Pig Matte Black ($290). Photo by Kelly Lawson. Featured: Gus* Modern Stanley Stools Ash ($400), Lue Pendant White ($405). Open shelving in kitchens is very pretty and can be used to display your favourite items. However, it also acts as a catch all and can quickly become cluttered and out of control. Take an afternoon to clear them off and only display the items you love such as favourite coffee mugs, artwork, plants, or dishes. Need to add some beautiful items to adorn your shelves? Visit Tuck to browse our unique kitchen decor. Another relatively simple kitchen update is installing a new backsplash! It can completely transform the room and you can get creative with the tiles. Visit Tuck to checkout the Céragrès Tile collections featuring beautiful and unique ceramic, porcelain, concrete, or natural stone tiles. We have samples on display at Tuck! Aside from switching out larger appliances, an easy kitchen update is changing your countertop appliances such as toasters, coffee makers, or kettles. These often go overlooked but older versions can be unsightly. If you have a small kitchen, opt for smaller alternatives such as pour over coffee makers and stove top kettles that take up less counter space. Check out this sleek glass pour over coffee maker, in stock now. The Kinto SCS Pour Over & Carafe Set is a coffee lovers dream. The beautiful heat-resistant transparent glass lets you watch your coffee slowly drip. The helpful dot printed on the jug measures the perfect amount of water for a divine cup of coffee. The stainless steel filter extracts coffee oil to brew rich aromatic coffee and the holder can be used to measure the amount of coffee beans as well as to place the filter after use. All parts are stackable for compact storage. Decorate your sink with a stylish hand soap dispenser or a beautiful scrub brush. Check out these options, in stock at Tuck. The Notes line encapsulates a selection of the thousands of scents one experienced inside the Tivoli Gardens. Old Roller Coaster is inspired by the old wooden Roller Coaster built in 1914, the scent’s aroma is masculine and rustic. Top notes: Balsamic – Cedar Wood – Bergamot. New from Normann Copenhagen at Tuck! The Normann Copenhagen Washing Up Brush is made of solid beach wood with soft natural bristles. Perfect for gently scrubbing food from dishes. Simply rinse thoroughly and let the brush air dry after each use. New lighting can give your kitchen an entirely new look! Replace dated lights with new ones from Tuck. Visit us in store to browse our extensive lighting collection and pick the ones that are right for you. We have flush mounts, pendants, chandeliers, semi-flush mounts, and more. Below: Liam Pendants ($495) hang above the Kavanaugh kitchen island. The Liam pendant features a steel shade with a solid ash cap that fit together seamlessly. Switching out your island counter stools is an easy way to change the look of your kitchen. If you have a small kitchen, choose backless stools that can tuck away such as the Gus* Modern Stanley Stool available in solid ash or walnut with stainless steel bases. $400 from Tuck. It’s no secret how much we love to decorate with plants. The simple addition of some plants can make any room look brand new! Not to mention many plants can help purify the air in your home. If you want to bring some green into your home, visit Galbraith Florist on Rothesay Avenue for some help! We have plenty of planters in stock at Tuck! Designed by Chris Snell & Dayna Mailach for Umbra. 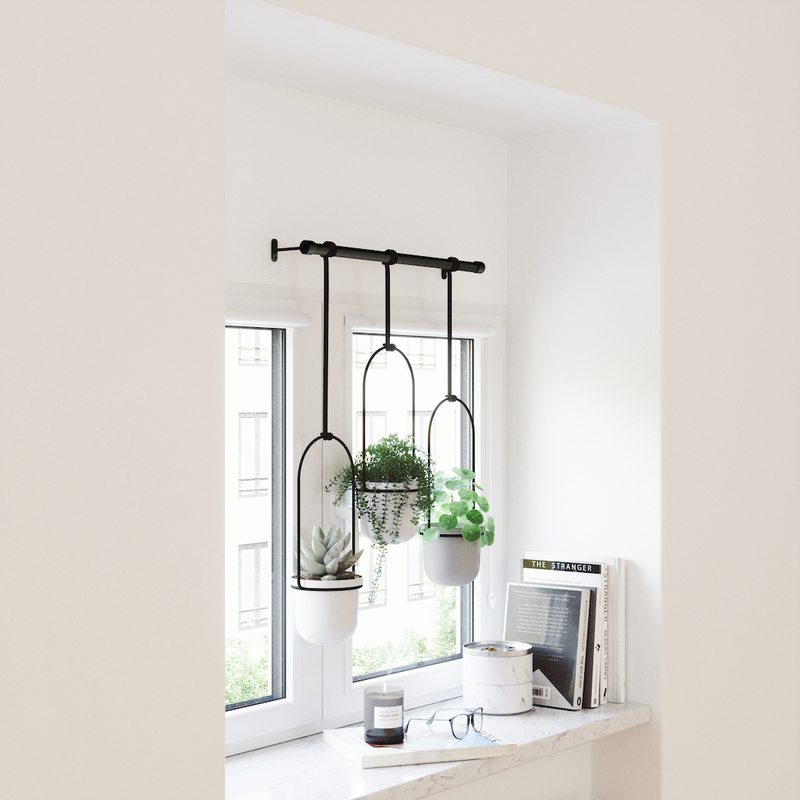 Triflora makes it easier to store, water and display your plants near your window, without taking up window sill space and with less damage to walls! It seems that everyone is getting on the clutter free lifestyle, thank you Marie Kondo! One of the easiest and most satisfying ways to update your kitchen is to tidy up and clear out the clutter. Spend a weekend going through cupboards and organizing each one. Clear off your countertops, leaving only the things you absolutely must. When clearing the clutter in your kitchen we recommend putting items such as cereals, nuts, seeds, tea, coffee, and grains in containers like these cute owl and rabbit canisters from Imm Living, available at Tuck. 10. Schedule a Home Consult with Judith Mackin! 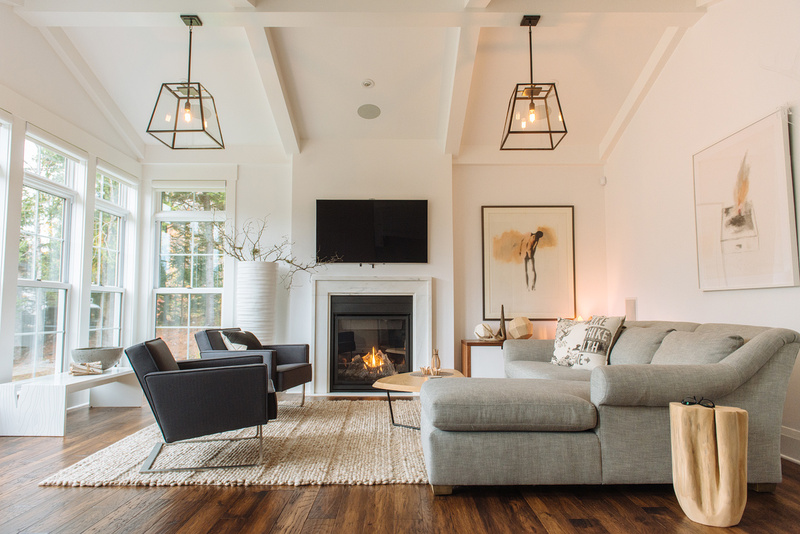 Lastly, we always recommend scheduling a home consult with Judith Mackin when taking on any projects in your home! For $160/ hour, Judith will visit your home and give expert advice on room layout, furnishings, lighting, art, flooring and paint choices. She’ll help you reimagine everything from a one-room makeover to a complete renovation. Good Design begins with a plan. And that plan will save you money! Thanks for reading! Please sign up for our emails, follow us on Instagram, Twitter, and Facebook to stay up to date with what’s happening at Tuck!